You can upload images to individual posts or pages, or directly into the Media section. To upload an image to a page or post, place your cursor where you would like the image to appear, then click on the Add Media icon above your post/page editor. Simply drag and drop your files into the box that appears, or click Select Files to choose a photo from your computer to upload. Thumbnail versions of the image will automatically be generated as well. 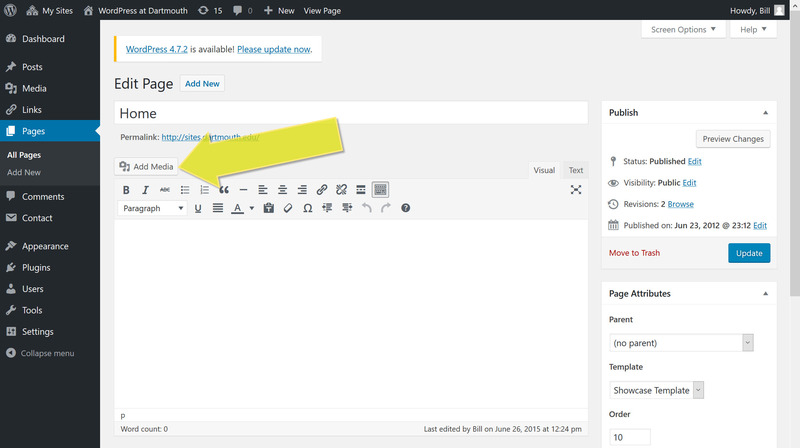 You change change the default thumbnail sizes under Settings > Media on your dashboard. 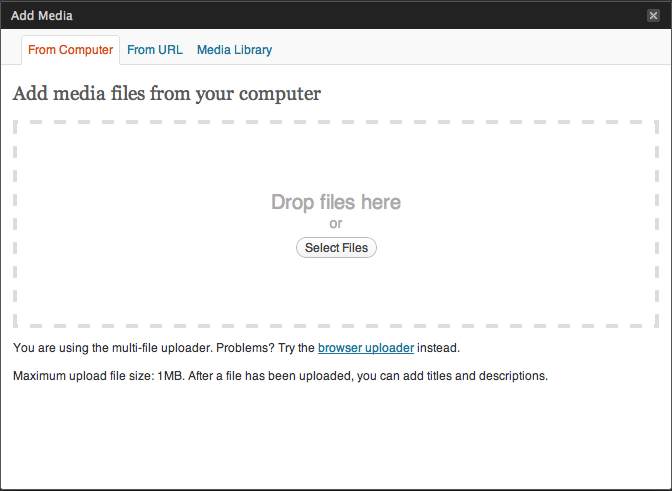 If you have already uploaded an image, you can find it again by clicking the "Media Library" tab and finding your image. Images that are uploaded to a page are automatically put into a gallery for that page. You can insert the gallery into the page, rather than images one-by-one. The gallery will appear as a series of thumbnail images that link to the full-sized images. 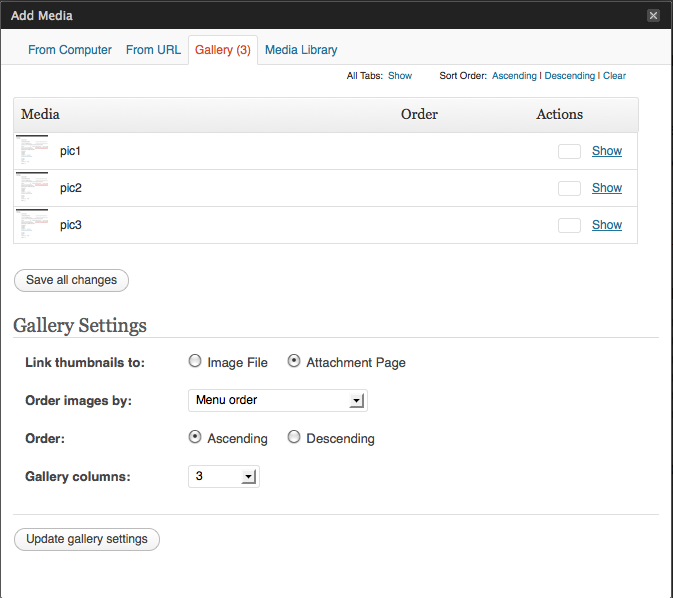 Advanced photo gallery options are available with the NextGen Gallery plugin. If you'd like to embed an image from the web into your post or page without uploading it from your computer, you can do this by clicking the "From URL" tab. Images inserted "From URL" will not appear in slideshows nor be resized into thumbnails. You can post other media into your post as well. Due to file upload limits, it is best to post your audio or video files on an external hosting service such as YouTube or Vimeo (for video) or SoundCloud (for audio files). Once the page is published, the video should be embedded automatically. If you are using a different hosting service, or an audio file, or the video does not display automatically, you can use the "embed" code supplied by the video, and paste that into your body text.